"Three, four years ago I already noted how many people have problems with summer time". For example, roughly three million Germans took part in the consultation (3.79% of the country's population); but less than 15,000 United Kingdom citizens participated (0.02% of the United Kingdom population) and only around 8,000 Romanians gave their view (0.04% of the country's population). 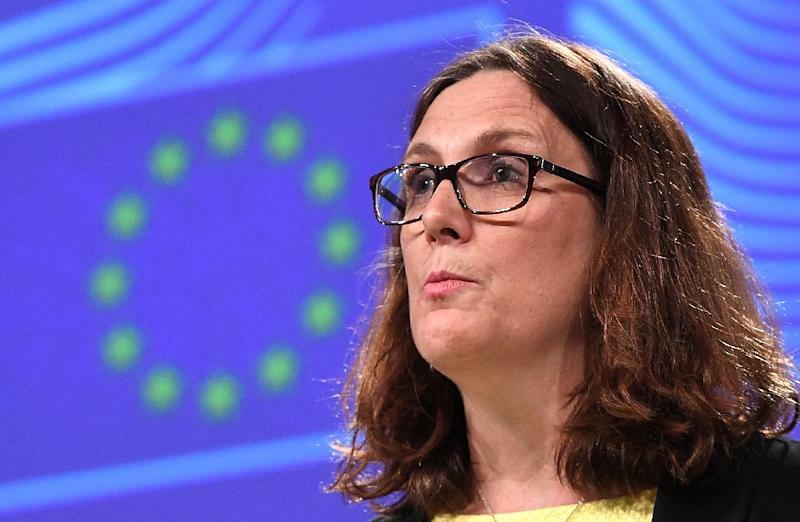 European Union's trade chief Cecilia Malmstrom said on Thursday that the bloc is "willing to bring down even our auto tariffs to zero, all tariffs to zero, if the US does the same", in the latest effort to appease USA administration complaints about alleged EU protectionism. According to preliminary results, some 4.6-million European citizens responded to the online poll - the biggest in EU history, Bulc said - on whether they wanted the change. The European Union's top trade official said the bloc is willing to include cars among U.S. industrial goods that could be imported duty free. In Hungary, 0.21% of the population took part in the survey. The lowest poll response was recorded in United Kingdom with 0.02%. In the survey, reported by German ZDF television, 80% of the 4.6 million respondents called for scrapping the spring and autumn clock change. Despite the high ratio, the current regime is hated even more in Poland and Finland (95%), Spain (93%) and Lithuania (91%), but Croatians equally dislike the system (90% against it). European Union law requires that citizens in all 28 European Union countries move their clocks an hour forward on the last Sunday in March and switch back to winter time on the final Sunday in October. The 28-member European Union spans three time zones, and the concept of daylight savings time has been uniformly regulated throughout the economic bloc since 2002. The move to a permanent time would require approval by the European Parliament and by each country's government. The Commission will make its final decision Friday. Therefore it is also unclear whether the clock change due this October will be carried out or not.